As Nebraska football fans enter Spring Game Week, it’s time to take a final stock of how spring practice has gone under new head coach Mike Riley. Between a new coaching staff and a new split-schedule practice, Nebraska fans have had a lot of changes to adjust to this spring. So as we prepare for this weekend’s Spring Game, here is a look at some winners and losers as spring practice for 2015 concludes. Spring football frequently produces surprise stories. And when you combine an undecided position like I-back with a new coaching staff having no pre-conceived judgments about players on the roster, surprise moves are even more likely. (In other words, as Douglas Adams would say, expect the unexpected). So perhaps it shouldn’t be surprising that junior walk-on Graham Nabity is getting outsized attention from Riley and the coaching staff. According to Robin Washut of HuskerOnline, Nabity’s consistency and performance has helped him to stand out, even from the four scholarship I-backs. Take it for what it’s worth, of course. Two years ago, a smart and particularly handsome analyst mentioned Nabity but was talking up King Frazier as a player in the I-back depth chart. But at the very least, Nabity has an opportunity few would have expected coming into this season. In what has been the worst injury news of the spring practice season, junior tight end Cethan Carter will miss the rest of spring practice with an injured foot. According to Jon Nyatawa of the Omaha World-Herald, Carter should be recovered from surgery in time for fall practice. Of course, it’s hard for Nebraska fans not to flash back to the last tight end who wore no. 11 for the scarlet and cream. In 2004, Matt Herian looked like he was going to be a crucial part of Nebraska’s renaissance as a West Coast offensive powerhouse. But a leg injury against Missouri robbed him of the 2004 and 2005 season, and Herian was never the same player even after his rehabilitation. At this point, it sounds like Carter’s injury is nowhere near as serious as Herian’s. Nebraska fans are certainly hopeful that is the case, particularly given what Carter can bring to Riley’s pro-style offense this fall. If Carter is on the very front end of an injury, then Turner is on the back end of a number of them. After getting a medical hardship for missing most of the 2014 season, Turner is ready to take advantage of his final year in Lincoln. According to Brian Rosenthal of the Lincoln Journal-Star, Turner believes the coaching change will help his performance. 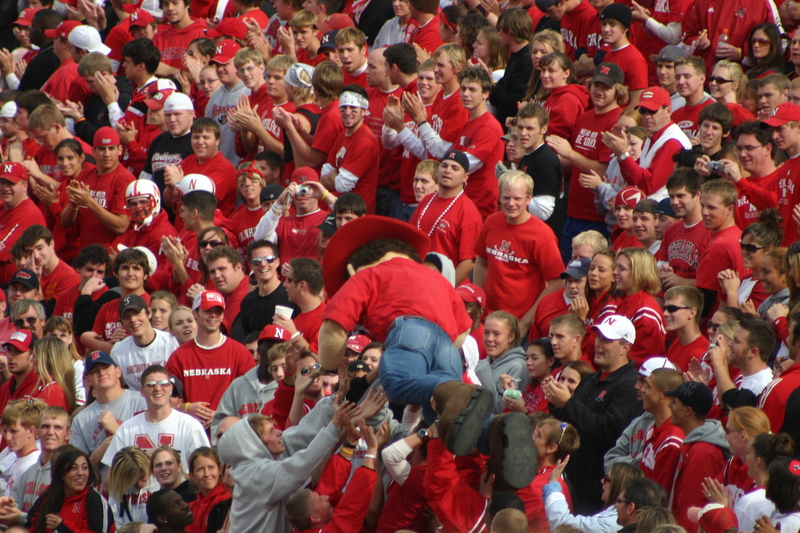 Nebraska fans love their traditions, and one that has spanned four decades looks to be a casualty of the new coaching regime. As discussed by Steven M. Sipple of the Lincoln Journal-Star, the Big Red Breakfast looks to be a thing of the past. A combination of Nebraska’s radio rights moving away from KFAB and a decision by Riley to not make assistant coaches available for public speaking engagements during the season seems to have spelt the end to the breakfast meetings. Sipple is probably right about the need for the breakfast meetings to continue, or at least that it would be good for them to do so. The people who attend those tend to be active boosters, the type that Riley will need on his side if he struggles early in his career at Nebraska. If nothing else than for self-preservation, finding a way to continue the breakfast tradition might be a smart call for Riley early in his Nebraska career.